Greek Girls Rock! Yes, we knew that already, but one Aussie Greek gal actually rocks it for real. We are talking about Orianthi smoldering guitarista, glam girl to stars like ZZ Top, Carlos Santana, Carrie Underwood, Michael Jackson, Prince, Carrie Underwood, and love interest of Richie Sambora. 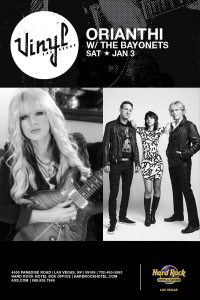 www.greekamericangirl.com caught up with Orianthi while on tour in the US. “Growing up with my Greek grandparents next door and participating in all Greek traditions as a child definitely shaped me into the person I am today,” she states. Orianthi Panagaris grew up in a Greek family in the southern Australian town of Adelaide. 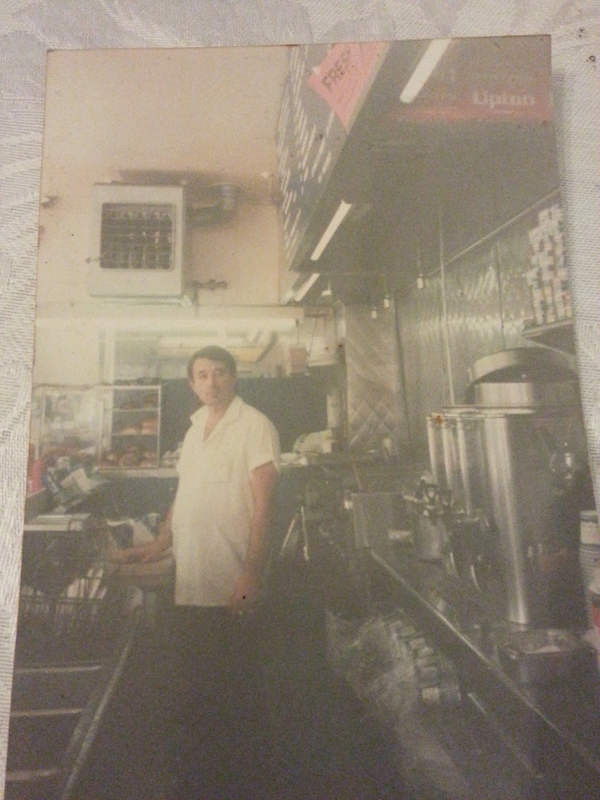 Here father had played in a Greek band and always kept plenty of guitars around the house. She was already familiar with the piano, which she began to play at age 3. But the day she was introduced to an acoustic guitar was the day she knew what her life’s passion would be. That day was at a “baftisi” that her Dad had been contracted to play for when she was about 10 years old. Since then, guitar became her passion; like a modern-day female Orpheus she took to the stage, expanding her repertoire. According to her on line bio, “She began to scour her dad’s record collection which included many talented guitarists who were also quite accomplished songwriters, including Jimi Hendrix, Eric Clapton, Santana, BB King and many others. His eclectic tastes exposed her to a wide variety and she developed an appreciation of many different genres. At age 11, her father took her to see Carlos Santana and she was in awe of his playing. “That show really affected me,” she recounts. “I asked my dad for a Paul Reed Smith guitar so I could be like Carlos. And that was it, no more acoustic!” She idolized Carlos and collected all of his videos spending hours learning his solos note for note until the tapes were worn out. At 15, she began home schooling so that she could pursue her passion full time and played in local cover bands in Adelaide. She opened for Steve Vai and he became a strong musical influence as a guitar idol and mentor. She also opened for ZZ top at the Adelaide Entertainment Centre. Carlos Santana toured through Oz again when she was 18. Four years previously, Carlos had been sent her first CD, Under the Influence recorded at home when she was only 14, and he invited her to his soundcheck where she jammed with him. He was so impressed that he invited her to join him on stage where she played for 35 minutes and took a solo in front of her hometown audience. Carlos sent footage of her playing with him in Adelaide to Paul Reed Smith in the US, and in 2004 she was invited by Paul to travel to California for the first time to play at NAMM (a music convention). By the age of 20, after honing her songwriting skills with encouragement from her idol and mentor, Steve Vai and some of Australia’s finest song-writers and including Phil Buckle (John Farnham), she was ready to branch out from the cover band and do her own music. In 2005, Orianthi recorded her second independent CD,Violet Journey, playing not only lead guitar but also keyboards, bass guitar and drums on a number of tracks. She was seen by a Universal Records A & R at a NAMM show in early 2006 she signed a major record deal with Geffen and moved to the US later that year. Orianthi released her major label debut Believe in the fall of 2009. The album produced the platinum single “According To You” which was a worldwide hit. Coming off the success of Believe and headlining shows around the world, Orianthi was asked to join Alice Cooper’s band in 2011. “I love working with Alice. I admire his longevity as an artist and he gives 110% every night,” Orianthi said. “I’ve learned something valuable from all the artists I have had the privilege to work with,” she says. That list is extensive and runs the gamut from Steve Vai, Michael Jackson, Carlos Santana, Michael Bolton, Prince, ZZ Top, Adam Lambert, Carrie Underwood, John Mayer, Dave Stewart and more. Orianthi has just received an induction into the South Australia Hall of Fame. She will return to celebrate Down Under this coming December and then rock her way to Vegas. Rock the World you Greek Aussie girl! Greek Americans have had a long history in politics. But most names have belonged to men. Except for now. We finally have a Greek American woman in the White House! 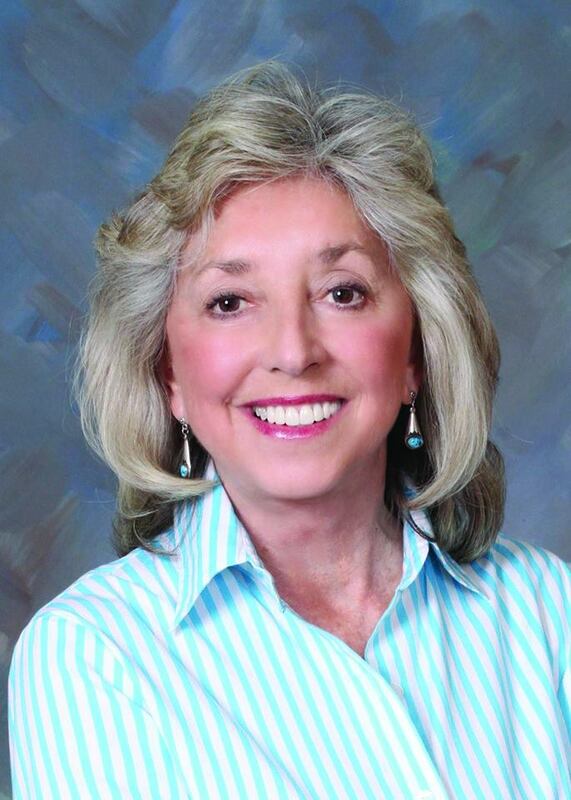 Of course, we are talking about our girl, Dina Titus, D-Representative from Nevada. In an exclusive interview, she spoke to www.greekamericangirl.com from within the broadcast studios of the White House about her Hellenism, her gab-loving grandfather, and the need to have more “fierce” Greek women in politics. Wearing a blue vest and an honorary pin with the Greek blue-and-white stripes, she sported her Greek spirit on the anniversary of OXI Day and on her way to the black-tie dinner organized by the OXI Foundation in Washington, a group founded to magnify the importance that Greece played in turning the tide of World War 2. Dina Titus was born Constandina Aliki, in a small town in Georgia called Tifton. It seems that she inherited politics on both sides of her family. From her father’s, the Titus side, her great, great grandfather James Seward served as a Democrat in the U.S. Congress from 1853 to 1859 and in the Georgia State Senate from 1860 to 1864. Her uncle, Theo Titus, served in the Georgia Legislature as a Republican and her father Joe ran for a seat on the Tifton City Council. On her mother’s side, the Greek side, she had ‘pappou.” Her grandfather, Arthur Constandinos Cathones, an immigrant from Attica, ran a restaurant, The Plaza, in their small town that served as a forum for discussion. Most of the public figures of the town, the sheriff, the deputies, the postman, teachers, civic leaders, they would all gather at the coffee shop and talk politics. She loved pappou so much when she was inaugurated into Congress, she used his Bible to be sworn in. Although she did not grow up speaking Greek, she stayed faithful to the Greek Orthodox faith. “To get Greek olives and feta, you had to drive 100 miles into the next state,” she notes in the interview. 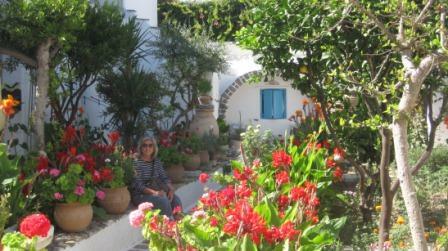 Titus has traveled to Greece to visit relatives in Athens and Trikala and keeps very true to her Hellenic roots. Dina attends the St. John the Baptist Church in Las Vegas and participates in activities of the Philoptochos Society and Daughters of Penelope in her community. Most recently, Dina was honored at the 2012 Salute to Women event hosted by the Daughters of Penelope. She attended the College of William and Mary for undergrad studies. She credits the teachers at William and Mary for being role models of public service that influenced and encouraged her foray into politics. She then continued to the University of Georgia for a Masters, finally attaining a doctorate in political science from Florida State University. She taught for a brief year in Texas before moving on to the University of Nevada, Las Vegas where she spent the majority of her teaching career. At UNLV, she taught poly sci to raving student success. Known both throughout the student grapevine and the formal administrative circles as a dynamic and forceful teacher, Titus received many awards during her teaching career. She started her service in the Nevada Senate in 1988. Because the Nevada legislature met every two years in the spring, she was able to attend legislative sessions and also maintain her teaching post. In fact, she took advantage of her position as a living, practicing politician by setting up an internship for undergrads in the Nevada legislature. By the time she retired from teaching in 2008, she had already served the 7th District for 20 years in the Nevada state senate. It was at this point that she decided to run for Congress as a representative for Nevada’s Third District. She was elected in 2008 but lost to Republican Joe Heck by only 2000 votes two years later. She tried running again, this time for Nevada’s First District, and won. She has served in this post since 2013. During her term in office in the Nevada State legislature, she initiated several bills that were of particular importance to women. One was the bill that forced insurance companies to cover the costs of a mandatory vaccine for the HPV virus in girls and women (that’s the virus that causes cervical cancer). In addition to her political career, Titus is considered a guru on all things atomic. Because her home state of Nevada has been central to the debate on nuclear testing and armament, she has taken a keen interest in the history and public policy debates on the issue. In fact most of her academic papers and scholarly work involves around nuclear power, waste and weapons. She has authored two acclaimed books, Bombs in the Backyard: Atomic Testing and American Politics (University of Nevada Press, Revised Edition 2001) and Battle Born: Federal-State Relations in Nevada during the Twentieth Century (Kendall-Hunt, 1989). She even maintains a “personal museum” of atomic memorabilia and lore. She appeared in the 2006 PBS documentary, “The American Experience: Las Vegas – an Unconventional History,” by acclaimed director Steven Ives; she was honored to give a guest lecture to the Los Alamos Historical Society and present an academic paper at the International War and Peace Conference at Sokendai University in Tokyo. She even has a reading room named in her honor at the Atomic Testing Museum on the Las Vegas campus of the Desert Research Institute. In terms of her personal life, she has been happily married to Dr. Thomas Wright, a professor of Latin American history for 30 years. During her interview, she told www.greekamericangirl.com that the best thing about being a Greek woman is that “they are fierce, they are fighters. We need more Greek women in the House.” She encourages young women who are seeking a career in public service to seek out internships to get a feel for what the job is. She extended an open call for young women of Hellenic heritage to contact her office to set one up. H ave you ever wanted to be like somebody when you grow up? Someone who was beautiful, successful, genuinely good and make knock out koulourakia to boot? Well, girls, now we do–Her name is Niki Leondakis. She typifies what a real Greek woman is–stylish, beautiful, intelligent, a business maven, committed to excellence, devoted to family, proud of her heritage and a humanitarian who actively contributes to worthy causes. As a follower of greekamericangirl.com, Niki has been honest and gracious enough to share how how “Greeki-ness” has shaped her success and her life. If you have not heard of her yet, here is the only site where you can get an intimate glimpse into the workings of a true Greek American girl. Is it by coincidence that Niki has been working in the hospitality industry for the majority of her life? She grew up in a warm Greek American home in West Springfield, Massachusettes. Her Greek culture’s emphasis on “philoxenia” and the values of treating strangers as if they were gods probably had some bearing on her career choice. 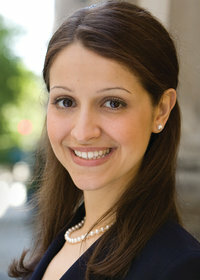 As she stated in her interview, “Growing up both Greek and American has taught me to respect and appreciate diversity of thought that comes from unique backgrounds, life experiences, and cultural upbringing.” She wound up graduating with a degree in hotel, restaurant management and travel administration from the University of Massachusetts in Amherst. She began her hospitality career as a manager for Marriott Hotels in 1982 in Nashville, Tenn. She then got a position as a food and beverage director for the Ritz Carlton Hotel Company in Marina Del Rey, Calif., Atlanta and San Francisco, from 1985 to 1993. Her big break came when she was hired by the Kimpton Hotels and Restaurants, a chain of 40 boutique hotels and chef-driven, destination restaurants throughout the US and Canada. Her meteroric climb in the Kimpton chain took her ten years: from director of restaurant operations in 1993 to VP of restaurant operations, then senior VP, to executive VP, and finally to CEO in 2003. After spending 20 years at Kimpton, she is currently the Chief Executive Officer of Commune Hotels and Resorts, which has 46 properties in its portfolio and over $450 million in revenue in 2012. They are hoping with Niki on board to reach the goal of $1 billion in revenue and expand the Commune Hotel empire into Hawaii, London, New York, Chicago, Miami, Seattle, Cabo San Lucas in Mexico and Palo Alto, California. 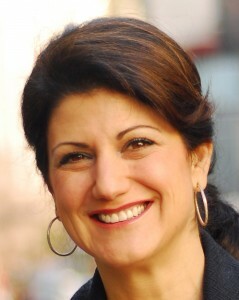 Leondakis has received several industry awards, including being named one of the “100 Most Influential Women” by the San Francisco Business Times from 2002 to 2006, being recognized as one of “30 Women Power Players” by Nation’s Restaurant News in 2002, and named one of the “Most Powerful Women in Travel” by Travel Agent Magazine that same year. Besides being a respected businesswoman and CEO, Niki is a saught-after speaker and instructor. She teaches courses in Hotel Management and Hospitality at Johnson and Wales, the premier hospitality college in Rhode Island. In 2010, she presented a lecture about “Driving Innovation and Profitability through Sustainability” at the National Innovation Conference in Chicago organized by the Greek America Foundation. She also ran the Athens marathon with her sister that year. An avid contributor to the community, Leondakis has donated her time and expertise to boards of directors for several nonprofit organizations including Dress for Success, an international nonprofit organization that provides job interview suits and career development assistance to low-income women, the National Restaurant Association and the University of San Francisco Hospitality Program, for which she gives speeches to women around the country on career development and marketing. 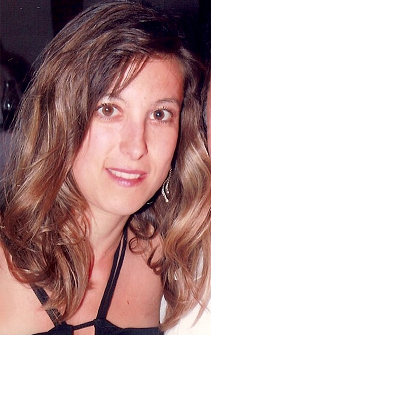 Niki lives with her husband in Hillsborough, California. 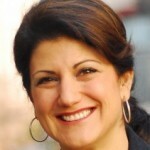 With Niki Leondakis, we are not suffering for lack of a dynamic female role model. You go, girl! 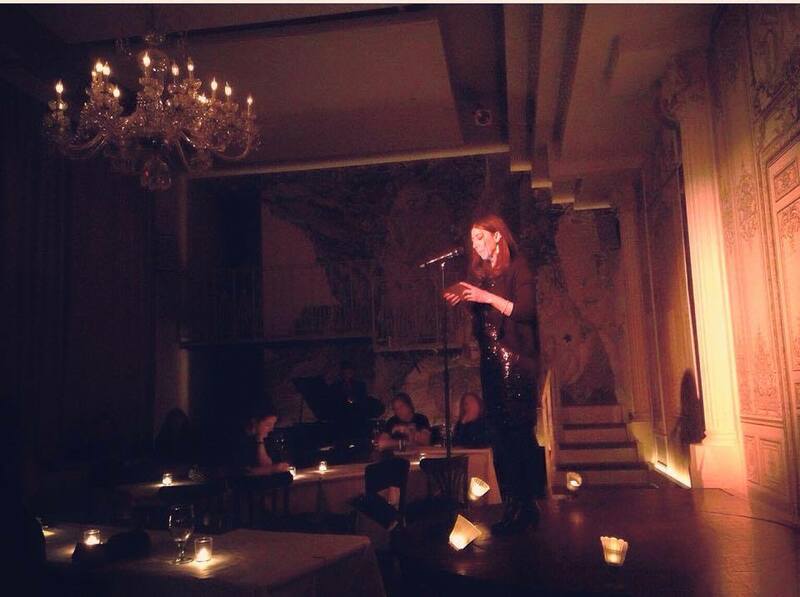 Alexandra Kostoulas is a poet, writer, and writing instructor centered out of San Francisco, California. She runs the Jack Grapes Method Writing course, a method for searching within to bring writing without by her old mentor and writing teacher. (Grapes, a poet and playwright from LA, developed a system of teaching writing whose goal was to find the deepest part of the person and have him or her express this on paper.) Since coming of age, she is a Muse of the poetic form, as her entire life is surrounded by the power of poetry and the written word to shape reality. 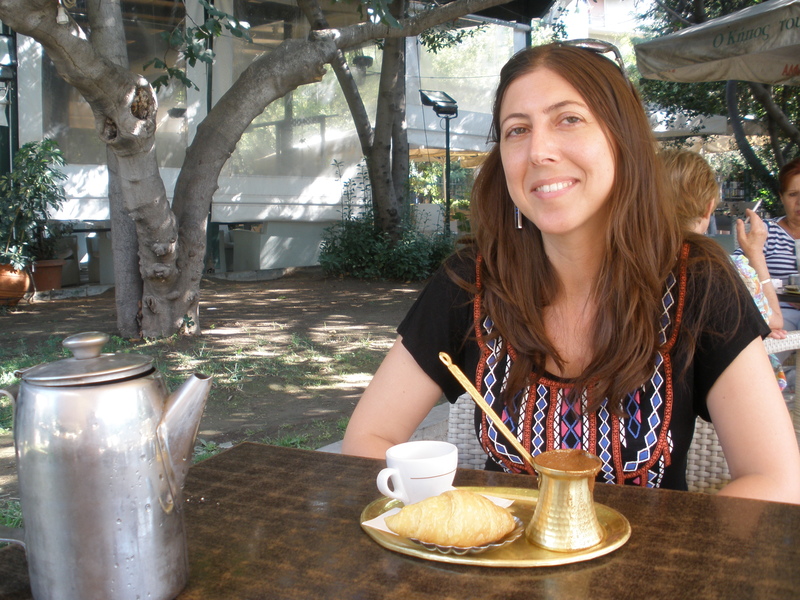 She is also a writer who fully feels her Greek- American identity in herself and her writing. Born in Chicago, she moved to Los Angeles with her parents (her mother is a clinical psychologist.) At 17, she became the youngest poet to be invited to join the Los Angeles Writers and Poets Collective. Her early poetry which she characterized as “raw and aggressive” became tempered, “more eclectic and spiritual” as a result of attending a UCSB reading by Berry Spacks, a Jewish convert to Buddhism. Her poetry grew up to include more nature-oriented themes. In a seminal move to San Francisco, she switched to writing fiction as part of an MFA in Mills College. She credits Charles Bukowski and lyrical poets such as Odysseas Elytis and Yannis Ritsos as co-inspirers of her oeuvre. While it is universal, her voice is staunchly Greek. “I can’t erase my Greekness even if I tried,” she confesses. “I can’t make my main characters anything but Greek.” As a writer whose ethnic identity makes up so much of her work, she admits that she finds more affinity with the community of writers of color and other minorities than with Anglo-Saxon writers. As a Diaspora writer, she points out that most of the great Greek writers of the 20th century were Diaspora Greeks, Cavafy for instance. You can read more about Alexandra Kostoulas by logging onto her website methodwritingsf.com. She has recently founded a new institute for the teaching of writing in San Francisco called The San Francisco Writing Institute. How does a small town girl grow up to be the head of an award-winning image branding company that has pampered the looks of such celebrities as Paris and Nikki Hilton, Donald Trump, opera star Frangoulis, Greek actress Debbie Matenopolous and has exclusive vending access to the Yale Club in New York City and Mara Lago Club in Miami? “You have to have drive,” Maria Miliotis says. Maria is the President of Faceworks International, an award-winning company staffing artists for special events such as photo shoots and videos. She has been featured on the Lifetime Channel as a celebrity artist and is a leading expert in the beauty and branding industry. Her company is recognized as the top 5% in customer services with 5-Star ratings nationwide. At www.greekamericangirl.com, we were able to experience her dynamite dazzle at work transforming clients from humdrum everyday types to personalities that exude with their own personal brand. Beauty in the 21st century is not so much skin, hair and nails, as much as it is about image and image branding. GAG: How did you get into the beauty/branding business? In the year 2010 when the economy hit a nose dive and many people were out of work, I felt inspired to help . 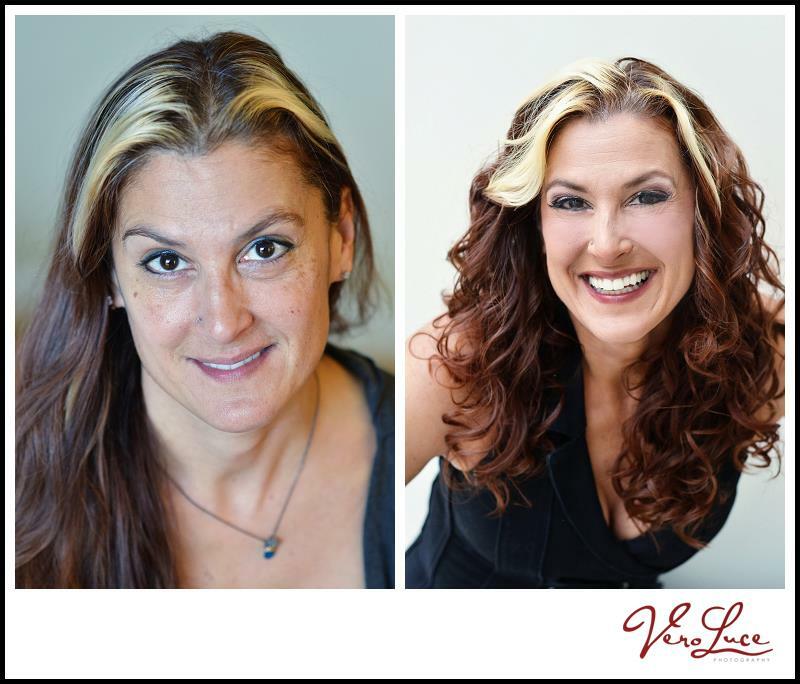 I gathered a team of photographers, stylists and directors and came up with a cost-effective idea to help everyone feel and look great while achieving their business goals. Years later my Image Branding Shoots developed a following nationwide that it brought me to NYC in 2014. We continue to have monthly photo shoots that include a detailed consultation with me personally, a game plan with backdrop, clothing choices, a complete make-over with direction during the shoot. We book a location and book 4 clients so that we keep the rates low but the quality of service high. There are different packages available from headshots for social media to website action shots to post. Since I have decades of experience behind the camera and in front, I’m able to offer a far more valuable service than just an average photo shoot. 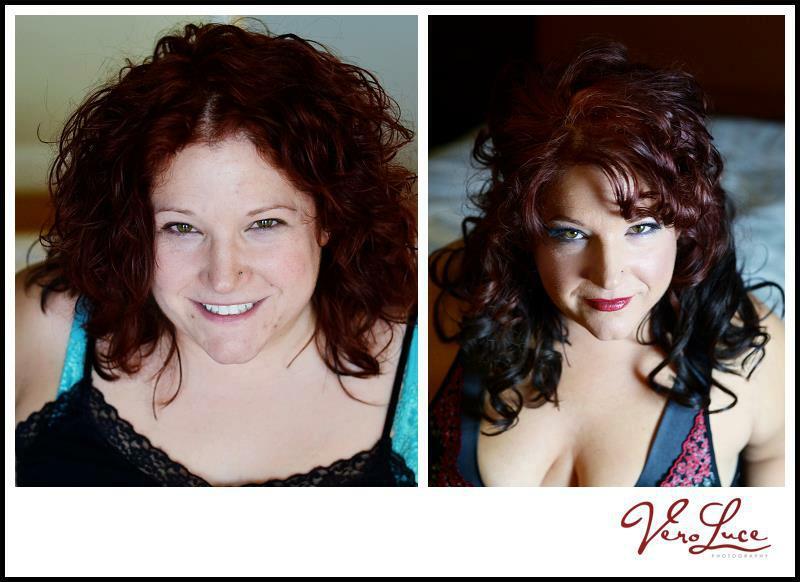 GAG: How is image branding different from just doing hair and makeup and looking your best? Having a service performed is simply bringing an image to an artist and having your hair/make-up styled into the desired look. Image Branding is specifically a consistent image that one wants to portray to the public. The questions that I ask my clients are what is their logo? Color scheme ? Where do they work ? What do they do in their spare time ? Image Branding for business is not just about looking fabulous but being real , professional and consistent with who you are and what your message is. GAG: What tips/advice do you have to give Greek women in Greece and in the US with regards to beauty and/or branding? In Greece, be authentic to the Greek in you and keep your style European . In Greece I’ve noticed many of the younger girls try to look American, but we are Mediterranean. I think it’s far more charming to have a European style/look so celebrate that! For Greek American women , do not shorten your name. Honor your heritage by adding something in your logo or mentioning your contribution to the Greek community in your biography page. As far as beauty treatments, we have some of the best solutions for dry skin and hair by using olive oil and yogurt. Not only do you look more youthful when ingesting these but slathering them on your skin and hair helps too. GAG: Talk about your successes as a business woman. Speak of one obstacle, either internal or external or both, and how you overcame it. I was a high school dropout and from a small town in the south working in a local beauty salon. I did manage to get my degrees and starting working at 17 …but had no real opportunities of making it big. What I did have was passion and drive. As a Southern girl who moved to the big city of Miami and later NYC on her own, I am proud of having been brought up in humble beginnings and that my parents encouraged me to do things on my own. I have seen things and met people that at times seem surreal. My clients are an elite crowd and am proud how they appreciate my talents. Money and education to get a head start in life is great, however the most valuable tool that you can have is drive. Drive will fuel passion and courage, important qualities in order to take risks to see how far you can fly. GAG: What advice would you give Greek women with regards to image branding? Be true to yourself! Ellen Karis ‘the Greek Goddess of Comedy” was one of my Image Branding clients and we put her in a toga in the midst of a hustling city and it was very NY, funny and Greek, all things she is! 2- Your style consists of your clothes, hair and make-up and should reflect you ! Make sure you love how you feel/look and do not follow trends if it’s not flattering. 3- Be sure to look gorgeous and let everyone know you’re Greek so we represent well. Greek American Girl: Who are some of your more illustrious clients? Donald Trump – worked with him often and his club members at The Mara Lago in Palm Beach. Paris and Nikki Hilton – regulars in South Beach and would make house calls as a make-up artist. GAG: What project/work are you most proud of till this time? Most recently it would be a magazine cover of The Mann Report where I did the styling for the most powerful men of NYC. Published article in The Fashion Edition . These were my accomplishments for my first year in New York. Bravo FaceworksInternational and to its gorgeous and driven head, Maria Maliotis, a true representative of Greek American Girlhood.